Gregory C. Skinner, D.D.S. has been in private practice for over three decades and has served Hemet and surrounding areas for over 20 years. He has been instrumental in developing several innovative dental products. Dr. Skinner is competent in all areas of general and cosmetic dentistry including oral surgery, restorative, crown & bridge, endodontics, and dental implants. 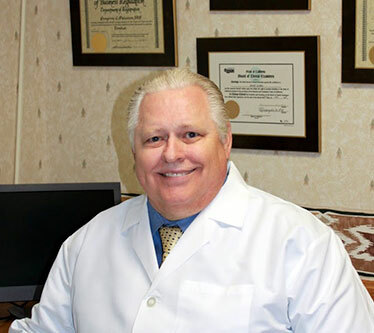 In 1981, Dr. Skinner received his Doctor of Dental Surgery degree (DDS) from the University of the Pacific School of Dentistry in San Francisco, California and has practiced in Salt Lake City, Utah and Southern California. Dr. Skinner graduated in the top ten percent of his class and is a member of the Tau Kappa Omega dental honor fraternity. Outside of the office, Dr. Skinner is an accomplished percussionist, loves music, golf, fishing, photography, painting and is an inventor. He currently resides in Lake Havasu City, Arizona with his wife Heidi and is the father of five sons. Staff went out of their way to accommodate my schedule. Very happy with the dental plan...precise and no hidden costs. Thx! Laurie at the front desk is So helpful. Dr Pak is great. Very gentle and even calls to check on me after treatment. Walk-ins are Welcome and they are Very affordable for high quality dental work, very cute assistants that treat every patient as number one! Fantastic experience once again thanks Dr. Pak and assistant T.
I waited until all my work was complete to write my review. I needed a lot of work done (1 extraction, 2 root canals + Crowns, I believe 7 filings and a deep cleaning) There was never any wait time in the lobby, so that was nice. None of my work caused my any pain. The Dr. and staff are friendly and personable. Some of my procedures took a little longer then they should have (just being honest) For me it was not a problem, because I am patient. I was glad that they accepted Careington Care, with all the work I needed it helped save me money. I will continue to see this office for any preventive work or future work I may need. My only 'complaint': The office could use a face-lift; but that has nothing to do with the quality of work, just the people who care about 1st impressions. Dr. Skinner, Lupita and Shannon were wonderful. They made me feel comfortable and explained my treatment plan in detail. Thank you! Great experience with Bridge Lake Dental.I haven't been to the dentist in 10+ years due to fear, I have a few things that need to be done but the staff was helpful and let me set up appointments for the future to have work done, Lauresa we extremely helpful with breaking down the payments so I can afford to have a better smile. Thank you to all the staff at Bridge Lake Dental, I look forward to a healthy smile in the future. Clean environment. Everyone was kind and helpful. I moved here from Montana and I will be using this Dental office as needed in the future.